We are delighted to welcome Professor Alice Brown who plays a key role in education matters as Chairman of the Scottish Funding Council (SFC). She will give us an important update on the present state of Scottish Further and Higher Education and what the future may hold. 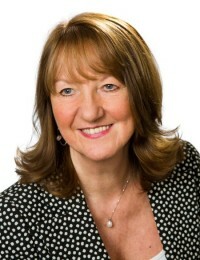 Alice has spoken at the Crichton Conversations before in her capacity as the Scottish Public Services Ombudsman a post she held from 2002 to 2009. She is Emeritus Professor of Politics at the University of Edinburgh and throughout her career has played an active role in public life in Scotland and the UK. She gained extensive research experience during her academic career and through her appointment on the Economic and Social Research Council. She has published widely on economic and labour market policy, equal opportunities, women and politics, constitutional change and administrative justice. She has served on a wide range of public bodies and organizations and was elected a Fellow of the Royal Society of Edinburgh becoming their General Secretary and stood down from this position on being elected Chair of the SFC.